Limo hire in Solihull is a very popular service. There used to be a time when limo hire was only available to those who were rich enough to afford it. However, these days’ prices can be very competitive and this has led to more people than ever before being able to afford it. Finishing Touch Cars has a limo to suit every occasion. 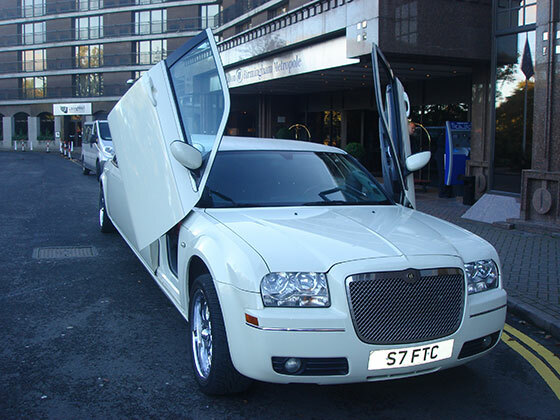 Just some of our most popular limos include the Baby Bentley, the Lincoln Stretch limo and the Range Rover Look limo. Before booking, make sure you are choosing a limousine which suits your needs. How many people will the limo need to fit in? What is your budget? Where will you be travelling to? These are just a few of the questions that you need to ask yourself. We can offer a wide range of stunning wedding cars for weddings taking place in the Solihull area. Solihull is home to some amazing venues, including Hogarths Hotel, Hampton Manor and Nailcote Hall Hotel. We can help you to not only choose the right car for you, but to get you to your venue in style and comfort. We have a range of vintage hire cars, including the 1924 Vintage Convertible and Daimler DB18 Saloon, and modern cars, including the Rolls Royce Phantom, Bentley Flying Spur and Chrysler 300C Saloon, so you’re sure to get style and comfort on your day. We have all your wedding car hire options covered. Ask any limo hire company what their most popular hire car is and the Hummer will often be the answer. Over the past 10 years, the huge American limo has increased in popularity. It has an imposing presence on the road and it will ensure that all eyes are on you wherever you go. There are different styles of Hummer and Finishing Touch Cars has 4 different models to choose from. There’s the extravagant pink Hummer which is popular with the ladies. Or there’s the more sophisticated silver Hummer which features a level 5 Sound system and 9 LCD TVs. There’s also a white model and our newest Range Rover Look model. Contact us today to see what Hummer hire packages we have on offer for the Solihull area. The party bus is often referred to as a club on wheels. It has everything that you could wish for on a night out. Many people opt for party bus hire in Solihull, purely to enjoy a stylish ride around town. You don’t have to set foot outside the party bus to have a memorable evening! Our exclusive party bus has a dance pole, a colour changing floor and ceiling, 8 LCD TVs, a huge sound system and sound activated LED lighting on the rear walls. It is capable of seating up to 16 passengers. Contact us now to see what packages we currently have available. You might be surprised by how much money you can save when booking through Finishing Touch Cars. They have set themselves higher than any other automobile company. With their bold, luxurious looks and interiors, they’re sure to wow anyone. Our Rolls Royce Car Hire is very popular for weddings in the Solihull area, as well as other occasions. We have a range of Rolls Royce hire cars to offer, which includes the Phantom, Ghost and Drophead Convertible models. Our Phantom car hire service has been established for many years, with many satisfied customer to show for it. You are more than welcome to enquire about any hire cars in our fleet. 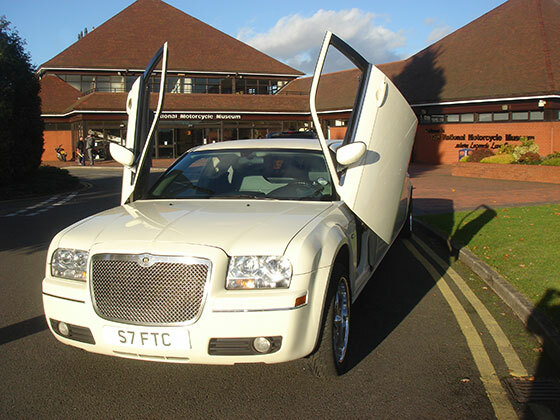 Bentley car hire is suitable for a range of occasions, although they are increasingly popular for weddings. These cars offer luxury and style, as well as comfort. At Finishing Touch Cars, we have a range of Bentley hire cars to offer, including the Arnage, Flying Spur and Mulsanne. Our Bentley Hire service is highly regarded for its quality, and our customer services are always here to help. When you book one of our Bentley hire cars, you can take advantage of our excellent rates and a first class service. Located southeast of Birmingham, Solihull is a nice little town that has everything that you could want or need. It is thought that the town got its name from the location of its Parish Church. Built on top of a ‘soily hill’, the church would be difficult to get to after heavy rain turned the ground to sticky mud. One of Solihull’s most popular attractions is its 1960’s open air style shopping centre. It has plenty of great shopping facilities and this shopping centre is known as Mell Square. The Queen also opened a large new shopping centre known as ‘Touchwood’ in the town in 2002. It cost £110 million to build and it features the only John Lewis shop in the whole of the West Midlands. Why not make use of limo hire Solihull to get you to and from all of the best shopping centres in the area? There is often nothing nicer than a relaxing afternoon shopping. In the comfort of a chauffeur driven limo you could enjoy retail therapy at its very best. Finishing Touch Cars has a range of hire cars suitable for any occasion. 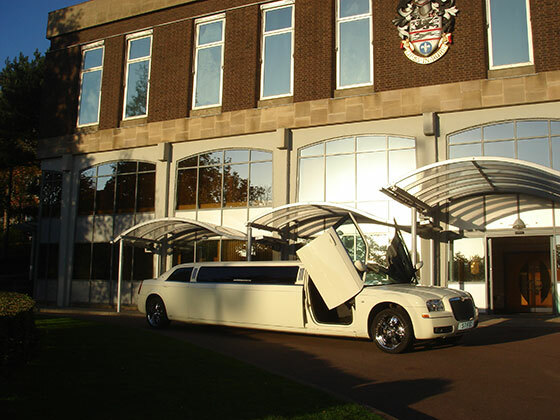 So if you’re looking for the best way to celebrate a special event coming up then why not consider limo hire Solihull? Solihull – Solihull is a large town with many areas that we cover which include Knowle, Olton, Shirley, Dorridge as well as the neighbouring towns like Dickens Heath, Hockley Heath and Earlswood. When it comes to choosing where to hold your wedding ceremony you need somewhere to make your day really special. There are many places to choose in Solihull from a smaller lower key venue to a larger luxurious venue. Solihull Registry Office, – Located in the centre of Solihull in Homer Road makes it very accessible. The flower garden located at the front of the Registry Office is a lovely setting for those very important wedding photos. The Ceremony Suite seats up to 60 people. We can provide the ideal vehicle to match the occasion whether you are looking for a vintage car for your day such as our Beauford Tourer or Daimler DB18 Saloon cars or if you prefer a modern car we have a variety available from our S Class Mercedes up to the top of the Range Rolls Royce Phantoms. 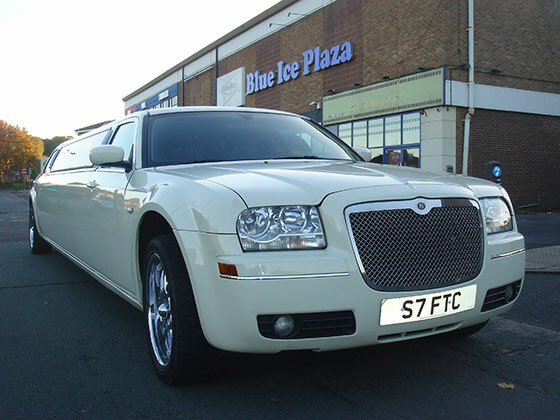 We can also provide a range of Limos to cater for your needs. If you fancy having your wedding somewhere relaxing, it would be hard to imagine a more wonderfully romantic setting than at Hogarths Hotel in Dorridge, Solihull. With its fairy tale grounds and celebrated “kissing bridge”, the picturesque surroundings offer you the ideal backdrop to your special day. The idyllic background together with the rich-interiors of the magnificent manor house and the exquisite food to inspire you and your guests served in the most magical of settings. All this can be combined with the perfect wedding cars or the luxurious Limos that we offer. Forest of Arden Hotel and Country Club is one of the premier West Midlands wedding venues. It provides an elegant country retreat with an idyllic setting. The Arden Suite caters for up to 300 people and the Marquee caters for up to 350 people offering a wonderful view of the woodlands and is equipped with a dance floor and a heating/cooling system. There is also an outdoor barbecue area available from April to October for use for weddings. At such an idyllic setting you need the perfect vehicle such as our convertible Beauford Tourers with a choice of black or red roof, our vintage Daimler Limousines or for a more modern feel our Bentley Flying Spur or Bentley Arnage. Touchwood in Solihull is an award winning 650,000 square foot shopping destination which opened in 2001. Top retailers can be found here such as Zara, John Lewis, Clinton Cards, Disney Store, French Connection, Gap, John Lewis, Karen Miller, Miss. Selfridge and many more. There are over 20 bars and restaurants to tempt your taste buds offering a wide variety of food and drink from noodles to burgers, peri-peri to paella and everything in between. The cine-world with its state-of-the-art screens provides a variety of movies from Hollywood blockbusters to Bollywood Cinema and British Movies. Whether you are just dropping in for a coffee, a leisurely lunch or planning an exciting evening out, our range of Limos and Hummers can provide that extra touch to a family day/special evening out. Solihull Arts Complex is in the heart of Solihull. It comprises of a 336 seat theatre, a smaller studio seating up to 130 for smaller scale theatrical presentations, music events etc. There are also two exhibition areas for local artists, schools etc. The venue offers a variety of musical, drama and comedy events. It also provides refreshments in the café bar and catering for events. Take a luxury trip to this successful venue in one of our modern stretched Limos. Are you looking for a great night with a lively atmosphere? Babylon Solihull is situated on the High Street and is the only night club in Solihull Town Centre. With top DJs from Radio One, there are six bars, three rooms and so a choice of three different experiences on your night out. Start your evening out in style with one of our luxury limos or hummers. The Assembly Rooms in Poplar Road, Solihull provides a great night out. It has a wide variety of food and drink including a wide range of real ales. Children are welcome so makes for a great family night out too. Music in the evening and live sky sports providing entertainment for every family member and at the end of the evening having sampled the real ales travel home in style in one of our Limos or continue the party in our Party Bus. The Village Hotel in Solihull provides wonderful entertainment for a night out. Tribute Acts, 60s discos, Comedians, Murder Mysteries and even a Bavarian Oompah Night! If you are looking for a quieter evening enjoy a meal in the Verve Bar and Grill or the Victory Pub and Kitchen. Arrive in style and start the evening off with your friends in one of our 16 Seater Hummers or our Party Bus with its own disco on board. If you’re looking for a limo that will get you attention no matter where you go, then the pink limo could be just what you need. Pink limo hire in Solihull is a particularly popular service chosen for hen parties. It’s a girly limousine and ladies are taking advantage of that for birthdays and nights out as well as hen parties. Call us now to get an affordable quote on our exclusive, Californian made pink Hummer. 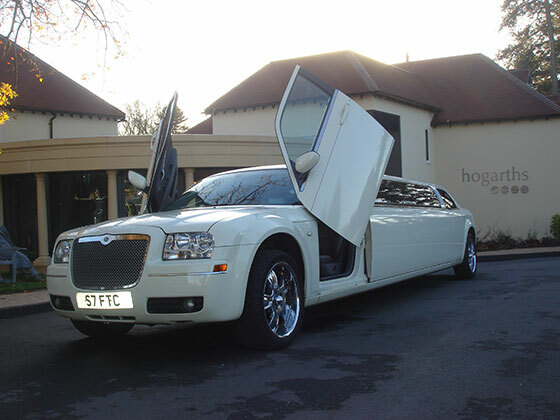 It can be difficult finding cheap limo hire in Solihull. Depending upon which limo you are interested in, it can be a very expensive service. Finishing Touch Cars has a wide selection of limos to suit every budget. Call us today to see what our most affordable options are. There is no greater way to turn up to your wedding than in the back of a luxury limousine. If you’re looking for the most affordable wedding limos and cars in Solihull then look no further. We have a wide collection of wedding limousines to suit all tastes and budgets. From the classy, romantic Baby Bentley to the modern, extravagant Hummer; call us now to get a realistic quote on any of our luxury limos.